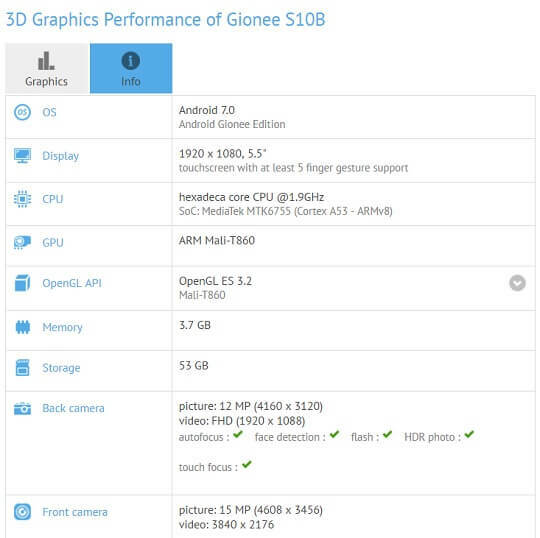 Gionee's upcoming S10 smartphone has visited GFXBench, confirming some of the specs previously revealed at TENAA. GFXBench, for some reason, showed a 12-megapixel rear camera on its listing, but as revealed before, the S10 will most likely feature a dual camera setup—two 13-megapixel cameras on the back and a 16-megapixel camera on the front. The pictures revealed online shows the back of the device is equipped with a dual camera setup. The S10, as revealed by both TENAA and GFXBench, will have a 5.5-inch Full HD (1920 x 1080) touchscreen display. While previously unspecified, it has now been revealed that it will be powered by a MediaTek MT6755 Helio P10 octa-core processor that is clocked at 2.0GHz and complemented by an ARM Mali-T860 GPU, with 4GB of RAM and 64GB of internal storage. It will also come with a 3700mAh battery and run on Android 7.0 Nougat OS. 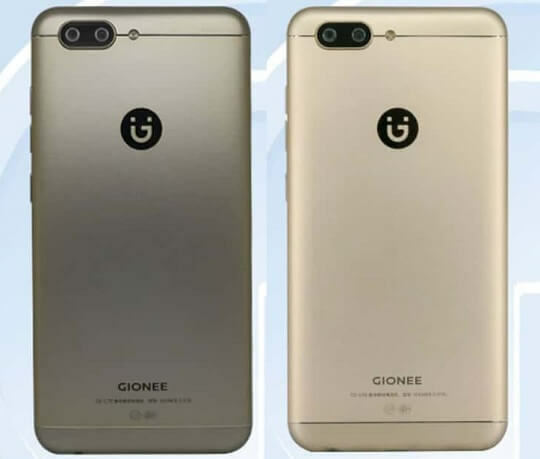 The Gionee S10 will be available in black and gold colors. There's still no announcement when it will be officially launched, although some rumors point to a May 26 launch in China.